Located at the confluence of the James and Chickahominy Rivers seven miles west of Colonial Williamsburg, Goverrnor’s Land at Two Rivers features 650 single-family homesites. The community stretches out over 1,482 expansive acres and provides its residents with many world-class amenities. The list is a long one and includes swimming pools, fitness center, tennis, walking trails, marina, private beach and a 200-acre nature preserve. The neighborhoods of Governor’s Land at Two Rivers are intertwined with water, forest, meadows and protected wetlands. And throughout it all flows the golf course, creating contrasting patterns of natural and man-made beauty. Approximately 70 percent of the community will remain open land forever. Resale golf course, riverfront and river-view properties are available. For details and pricing, see the real estate section below. Designed by the three-time Golf Architect of the Year Tom Fazio, the golf course at Two Rivers is sculpted to take advantage of the natural contours and beauty of the waterfront, the ravines, the woodlands and the tidal marshlands. 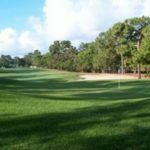 Golf Digest rates it as one of Virginia’s Top Ten courses. It offers an enjoyable challenge for golfers of every level of skill. Over four miles of riverfront border the property’s gently rolling acres, forming a peninsula where the 18th, 17th and 16th holes and the marina meet the river. Governor’s Land and Two Rivers Country Club are located just seven miles northwest of Colonial Williamsburg and are in close driving distance of major cities, airports, the Atlantic Ocean beaches to the East and the mountains to the West. Driving time to either Richmond (to the northwest) or Norfolk (to the southeast) is one-hour. Washington, DC is just under a three-hour drive. Residents and visitors are serviced by Amtrak running north and south from Williamsburg and the Richmond, Norfolk and Newport News airports. Located just 10 miles away, Sentara Williamsburg Regional Medical Center provides a 24-bed emergency department and an extensive range of modern health care services at a new 145-bed hospital. The property is also convenient to the Riverside Regional Medical Center, a comprehensive 570-bed teaching hospital in Newport News, about 30 minutes away. Just over an hour to the east is Virginia Beach. Its 28 miles of white sand and exciting resort lifestyle make it the perfect getaway. Right next door is beautiful Norfolk By The Sea, a delightful city that’s home to the Virginia Opera and the grand Chrysler Museum. For a change of pace, head just 45 minutes west to Richmond, Virginia’s capital and center of banking and commerce. This lively city is home to well over a dozen Fortune 500 companies and the world-renowned Medical College of Virginia. Two hours west of Richmond you’ll find the beautiful Blue Ridge Mountains, where the Skyline Drive is the place to be when autumn leaves start to turn. Or head north to Washington, D.C. just 2.5 hours away.